Want to listen to camp classics, party anthems in south Wales? Hard cheese, you'll have to move north. 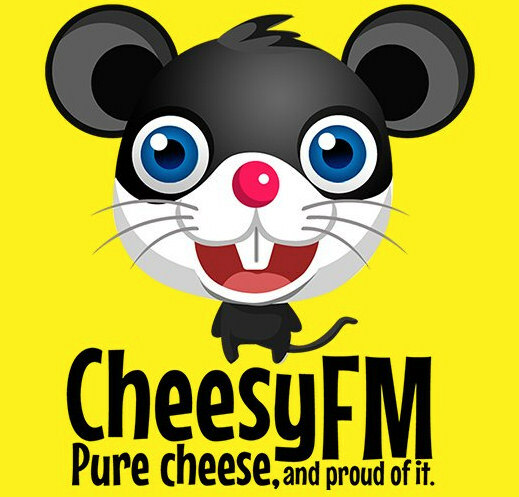 Ultimate Cheesy pop station Cheesy FM is now available on digital radio in North East Wales, West Cheshire and Liverpool. The station, which is the brainchild of Cheesy FM's Big Cheese - Andrew Peacock - proudly plays all manner of cheesy pop and dance music from boybands, one-hit wonders alongside a compendium of camp classics, party anthems and a generous helping of seventies, eighties and nineties smashers. If Cheesy FM doesn't appear in your DAB station list after tuning to Dee on DAB or Wirral Radio and looking through the list for it, you need to retune your DAB digital radio to see if you can pick up the station. Wales' radio stations, on this website. Liverpool's radio stations, on this website.